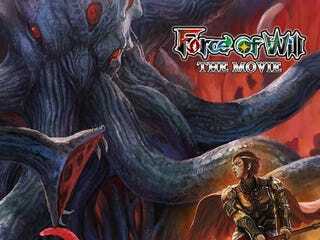 It has been annouced that the Trading Card Game, Force of Will, will have a Movie in 2018. And it will be an omnibus film (Similar to the Batmanime movie for some years ago) and it will be about 6 short films surrounding the concept of this TCG. -Cthulu: based on the H.P. Lovecraft mythos. Shuhei Morita is directing it. -Monkey King: Based on the Journey to the west history. Yuichiro Hayashi (Garo the Animation) is directing it. -Unnamed short directed by Veerapatra Jinnavin. -Unnamed short directed by Kohta Morie. Every short will be more or less 15 minutes long. The Trading Card Game is availabe in english, and if you want to know how to play it, you can do it here.